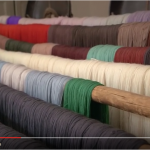 Tapestry weaving is a living art and an art with a long history. Many of the great tapestry masterpieces of Europe were created at the Gobelins Manufactory in Paris where, amazingly, the artistry, skill, and science of tapestry weaving is still practiced today, in the exact same place, more than three hundred years later. 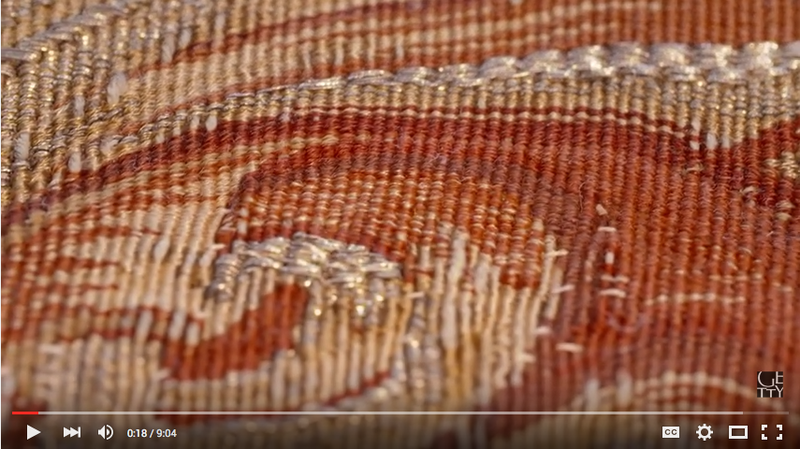 In 2015, in conjunction with “Woven Gold: Tapestries of Louis XIV,” a major exhibition of tapestries from the reign of Louis XIV, the J. Paul Getty Museum had a fantastic opportunity to document the techniques—many of them handed down over centuries—used to make these monumental artworks in the very place where they were originally created. While we considered the potential of interactive media, it was very quickly clear that the beauty of the setting and the process would best be served by video. It was equally obvious that very few attempts had been made to document the complete process of making a large-scale tapestry, perhaps because it can take many years to follow from start to finish. Fortunately, through our exhibition partnership with the Mobilier National, we were given rare access to their workshops and experts over several days of filming. While there was not nearly enough time to follow the development of an individual tapestry, the artisans of the Gobelins treated us to unique demonstrations of all the major steps, including dyeing the wool, setting up the loom, preparing the bobbins and broches, and the weaving itself. 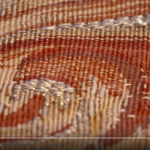 Sequenced into the correct order, these demonstrations give the viewer an evocative look at the many detailed steps needed bring a tapestry design to life. Moreover, the passion and dedication of the skilled craftspeople of the Gobelins shines through it all. Their interviews reveal that they too are motivated by the history of their workplace and their profession. 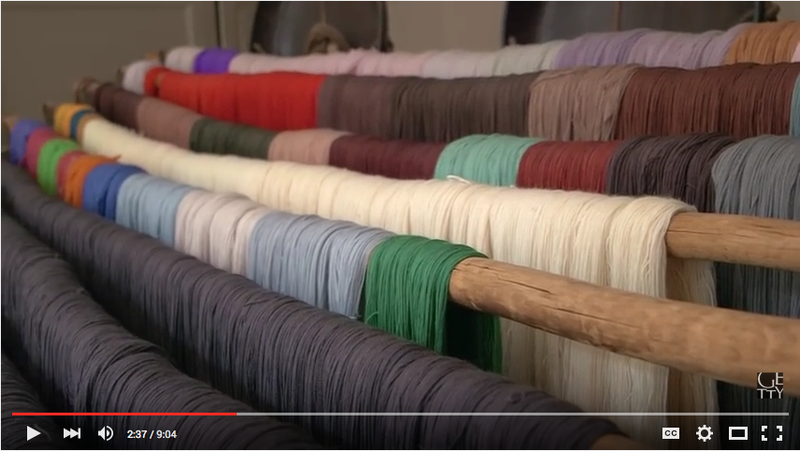 The “Art of Making a Tapestry” uses high-definition footage and location sound to provide a rare look at the artists of the Gobelins and the incredible works of art they have produced “with humanity and soul” for the past three centuries. “The Art of Making a Tapestry” is on view side by side with tapestries from the Mobilier National in the exhibition, “Woven Gold: Tapestries of Louis XIV”through May 1, 2016, at the Getty Center.